PERHAPS I AM too easily impressed. But I have not visited the ice caves at Apostle Islands National Lakeshore in northern Bayfield County, Wisconsin. 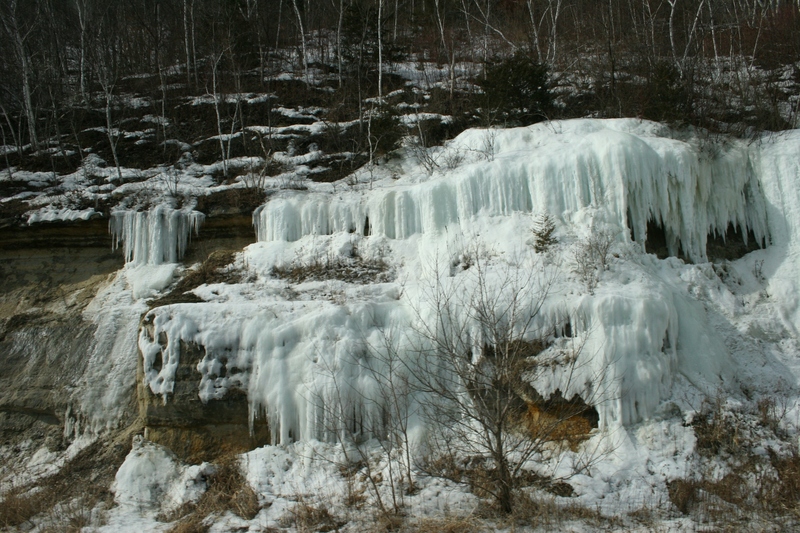 Thus the ice formations gracing the Mississippi River bluffs along Interstate 90 on the Minnesota side near La Crosse, Wisconsin, impress me. 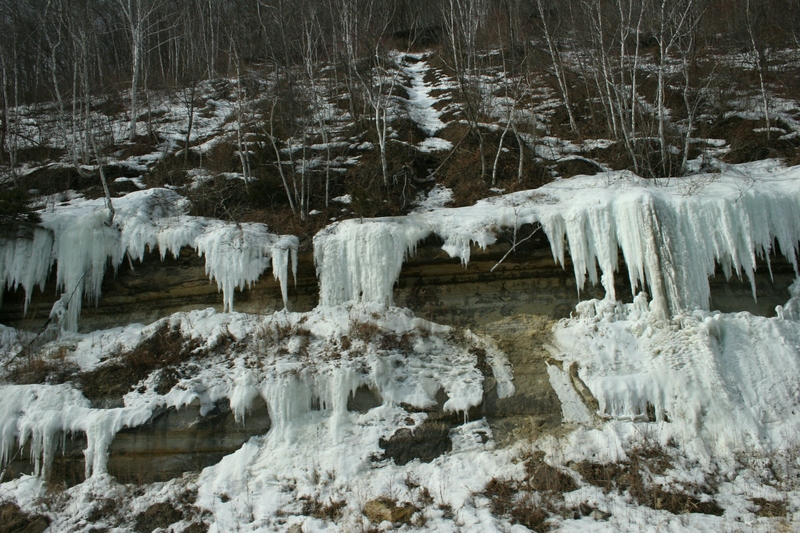 There is no stopping along I-90 to view or photograph this natural ice art up close. Rather, I rely on the rapid fire of my camera to capture the scene for later study. Every time I see this water frozen in the icebox of winter, I marvel at its beauty. I remember, too, how once upon a time I snapped icicles from the milkhouse roofline to engage in sword fight battles with my siblings. The flip side of my mind views the ice formations as powdered sugar icing dripping down the sides of a homemade chocolate birthday cake baked by my mother. That’s the thing about art—man-made or natural. It’s always open to interpretation. FYI: These photos were taken 10 days ago. 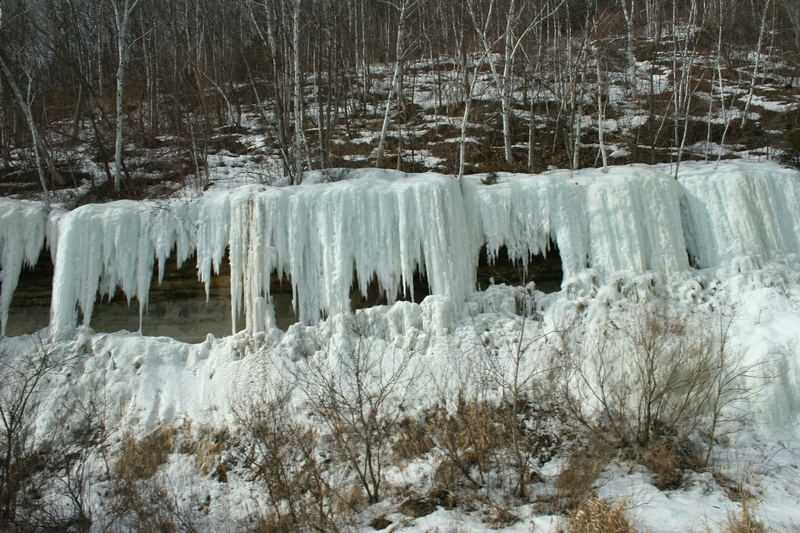 Since then, the weather has warmed to around 60 degrees in southern Minnesota, meaning these formations are likely disappearing. GROWING UP LUTHERAN, I knew Catholics couldn’t eat meat on Fridays during Lent. They ate fish. I never understood that because I consider fish to be meat. 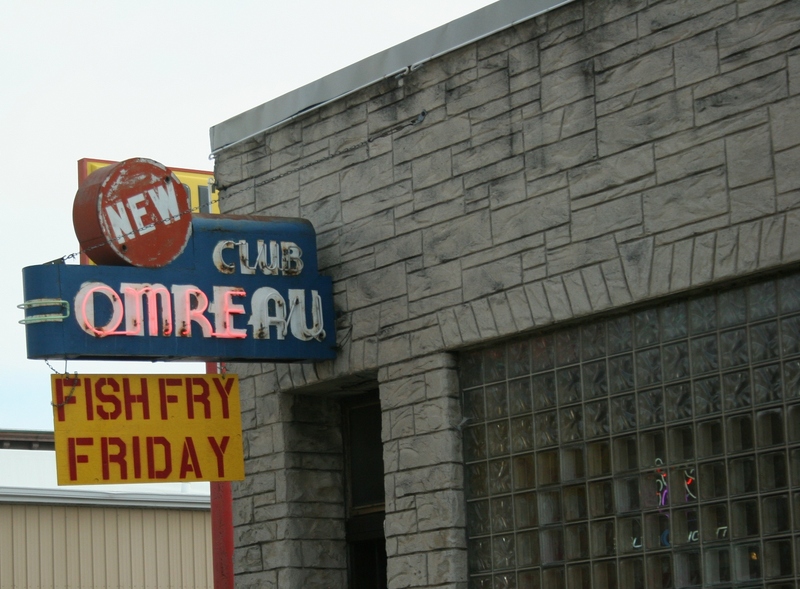 But, still Lutheran today, I respect the Catholic Friday Fish Fry tradition. Photographed in Omro, Wisconsin, eight miles west of Oshkosh along the Fox River. This time of year, you’ll see advertisements and signs galore calling the faithful to feast on fish on Fridays. These weekly Lenten fish fries should also remind believers of their calling to be, like Jesus’ disciples, fishers of men (and women and children). If I remember my bible facts correctly, Andrew, Peter, James and John were fishermen by profession and fishermen by discipleship. Then there’s the story of Jonah being swallowed by a great fish. I remember as a child reading Sunday School bible lessons and how impressed I was by this. To think that the prophet Jonah would be swallowed by a whale, remain in the whale’s belly for three days and then be spit out alive seemed pretty miraculous to me. Jonah’s experience connects to Christ’s resurrection from the dead after the third day, as explained by Matthew. 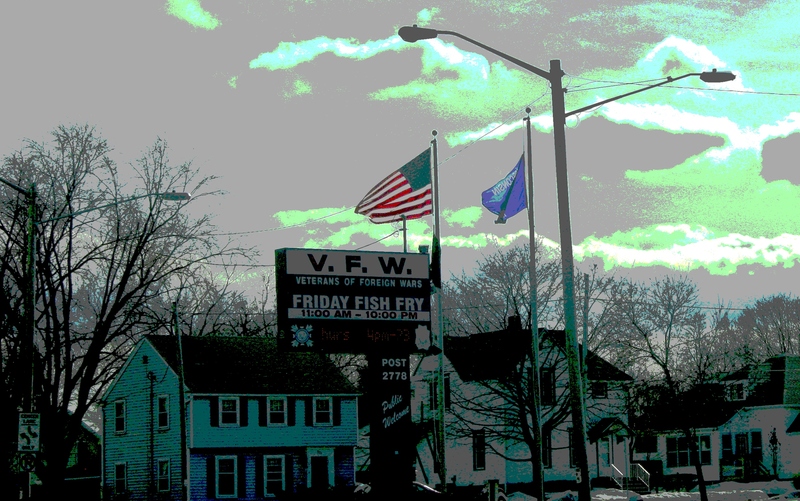 At VFW Post 2778 in Appleton, WI., they apparently attempt to feed the masses as the Friday Fish Fry runs from 11 a.m. – 10 p.m. I think Jesus would have appreciated a Friday Fish Fry. 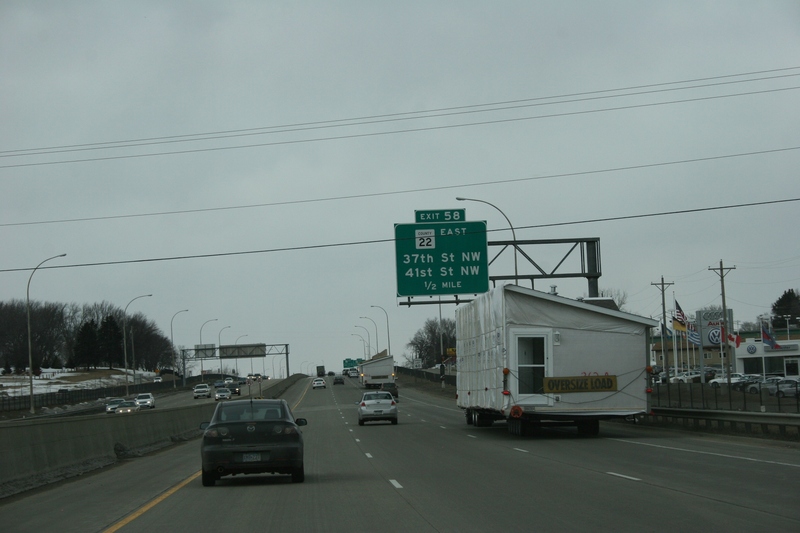 Photographed along U.S. Highway 52 in Rochester, Minnesota. 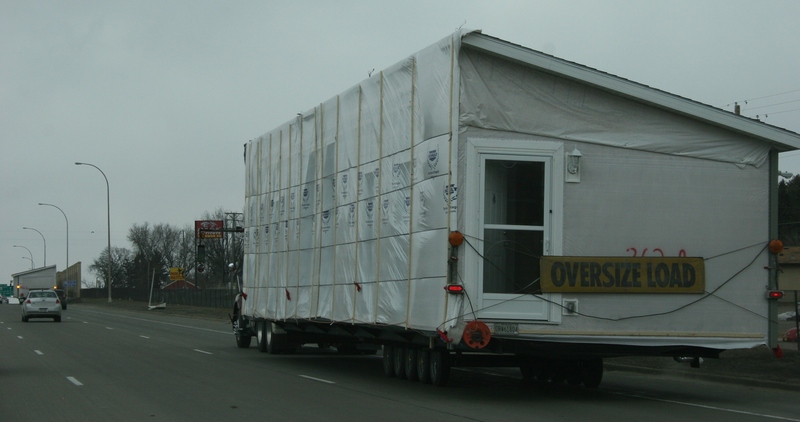 FORGET BILLBOARDS to push furniture and mattresses in Appleton, Wisconsin. Instead, try guerrilla gorilla marketing. 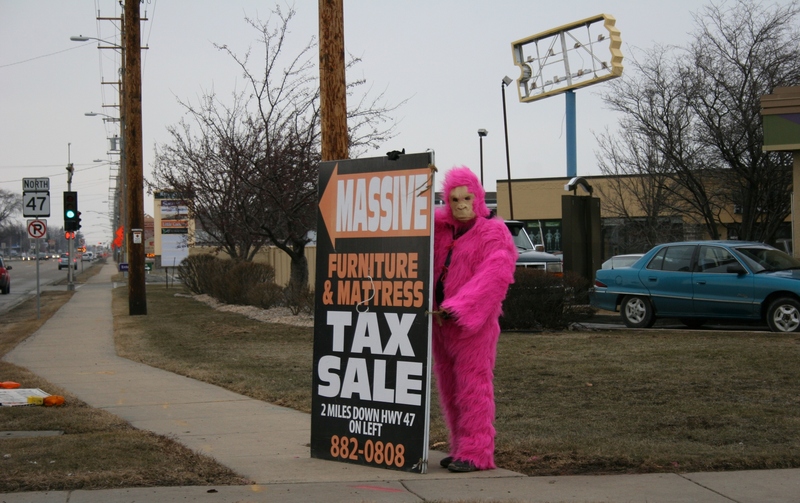 Hire someone to dress in a hot pink gorilla costume. 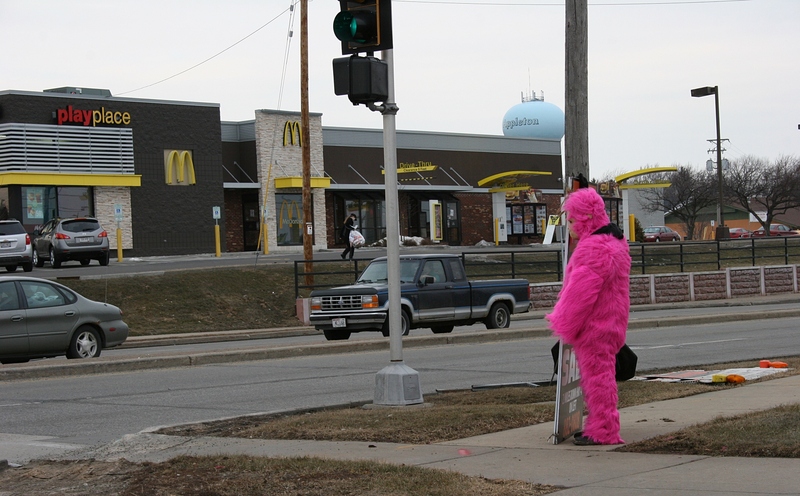 Station the ape at the corner of a crazy busy intersection (Northland Avenue and North 47) and you’re good to go. Tell me, does this type of gimmick really work? IN A FLASH, I’ve passed the farm site along Minnesota State Highway 60 between Faribault and Kenyon. But I’ve clicked the shutter button, preserving this rural scene, a moment frozen in time. Many times, for whatever reason, I have photographed this place. Later, viewing this most recent image on a computer screen, I notice the details that escaped my eyes during that drive-by. And I wonder how, all too often, we miss the details. Details comprise the whole, define our lives in ways we never realize. A look. An intonation. A reflex. Puzzle them together and you have life. A snapshot. An album. A collection of minutes, hours and days that collectively become weeks and months and years. And suddenly you are, like me, past middle age, a generation away from death. You wonder about the details, whether you’ve noticed and embraced and lived them. Have you swung in a tire swing? Or have you simply viewed tires as a necessity to carry you along the highway of life? Too busy to notice details. 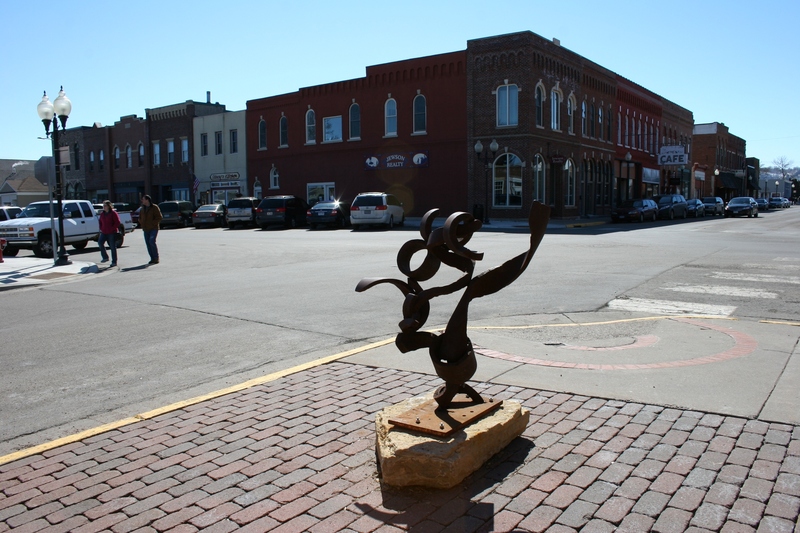 Each provides a canvas or backdrop for art in Wabasha, an historic Mississippi River town of 2,500 in southeastern Minnesota. On a recent visit here to the National Eagle Center, where art abounds inside, I also noticed art integrated into the downtown. 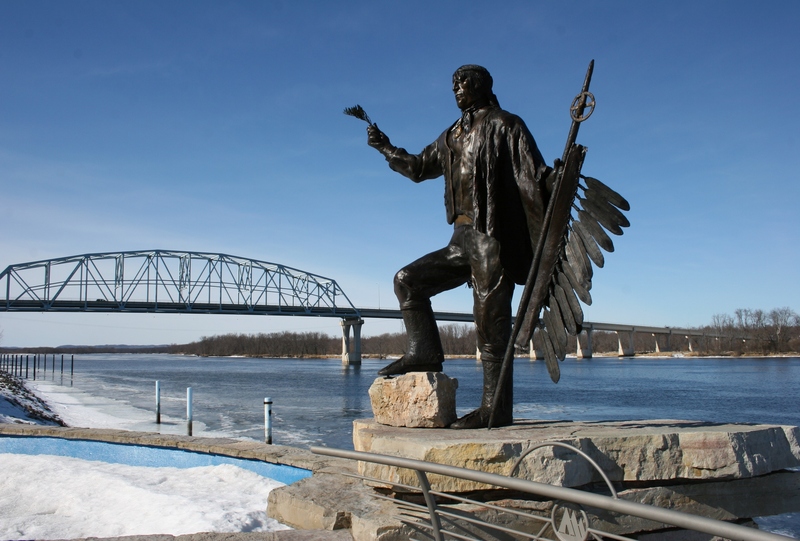 A 10-foot tall bronze sculpture of Wapahasha II, a Native American after whom the city of Wabasha is named, stands atop a fountain next to the riverside eagle center. If you shift your eyes a bit, you’ll notice a bridge in the distance. I view that 26-year-old link between Minnesota and Wisconsin as art given the overhead span of trusses. 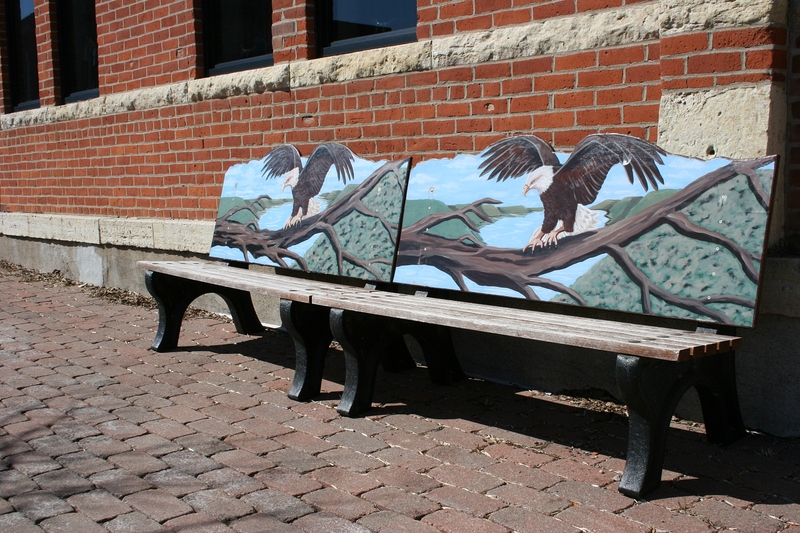 Just up the street, set atop brick pavers, co-joined park benches have become artwork, too, with eagle paintings backing the benches. 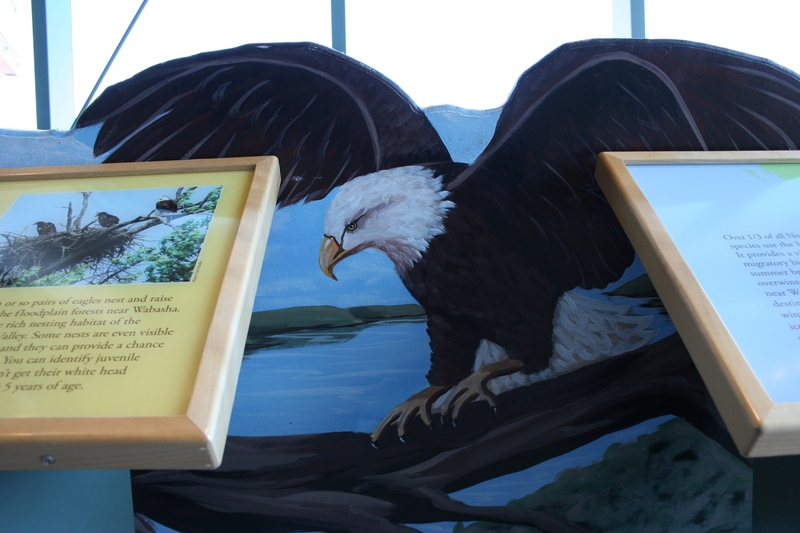 It’s a nice touch, emphasizing Wabasha’s eagles and the reason many visitors come here. 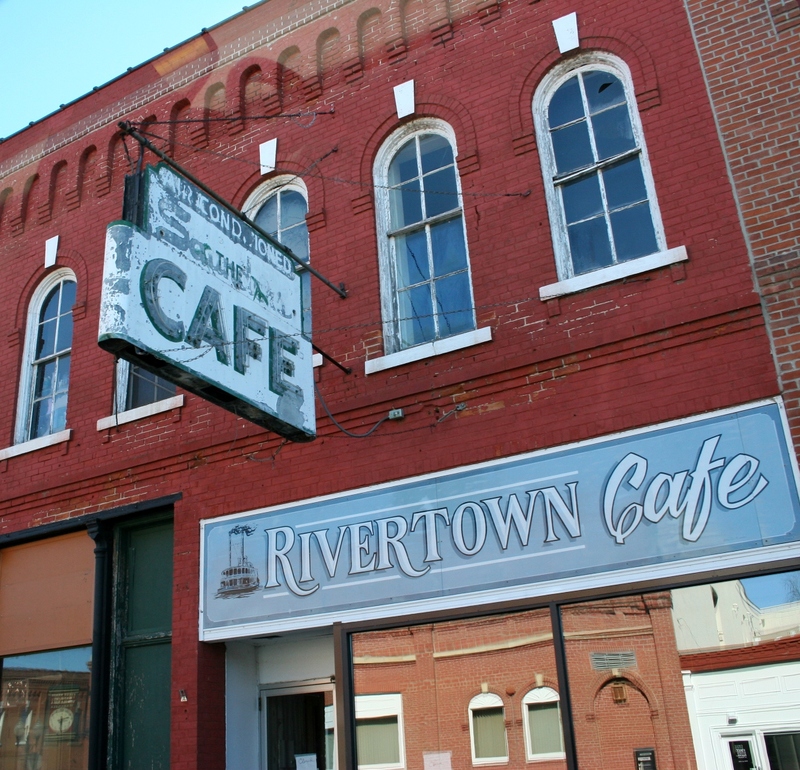 Around the corner, Riverside Dollar also incorporates eagles into its signage on a cozy building tucked between taller historic buildings. 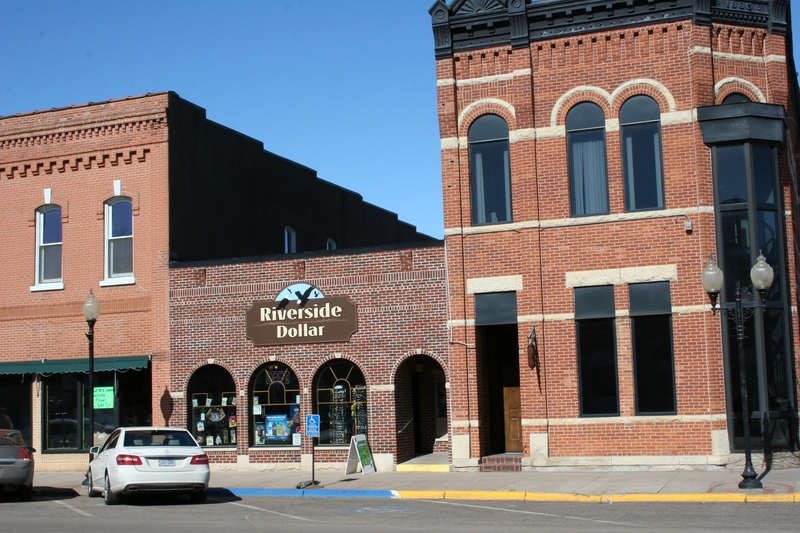 Fifty properties in Wabasha are on the National Register of Historic Places, another reason I appreciate this community. The buildings, in and of themselves, are works of art with ornate details that showcase the craftsmanship of another era. 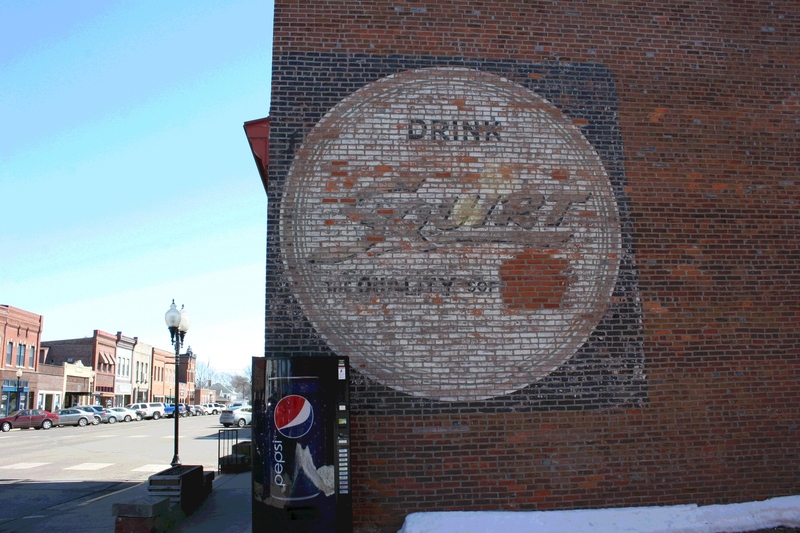 A block away, a faded vintage Squirt sign painted onto the side of a brick building contrasts with a sleek and shiny Pepsi vending machine. That amuses me. 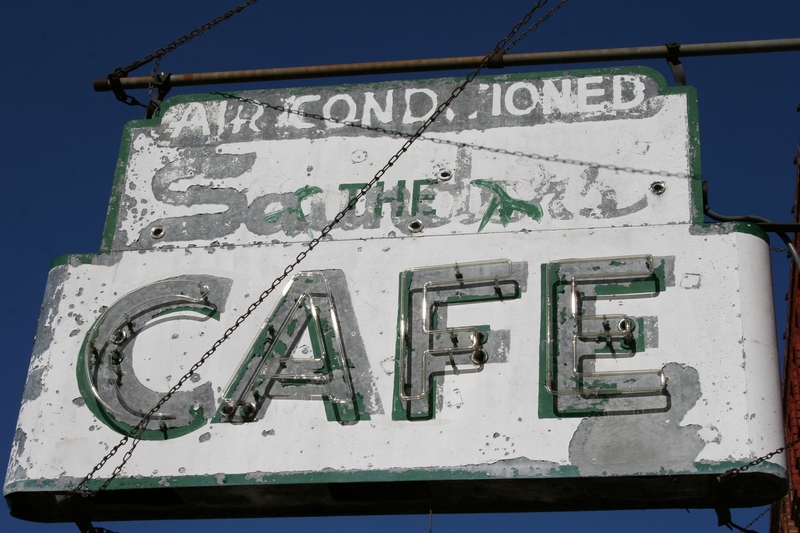 At the Rivertown Cafe, I appreciate the aging signage suspended from the second level. It adds a certain charm to the exterior and directs the eye toward the business. A stone’s throw away, a modern sculpture graces a street corner. Certainly, Wabasha features more art; I had time to photograph only this sampling this trip. 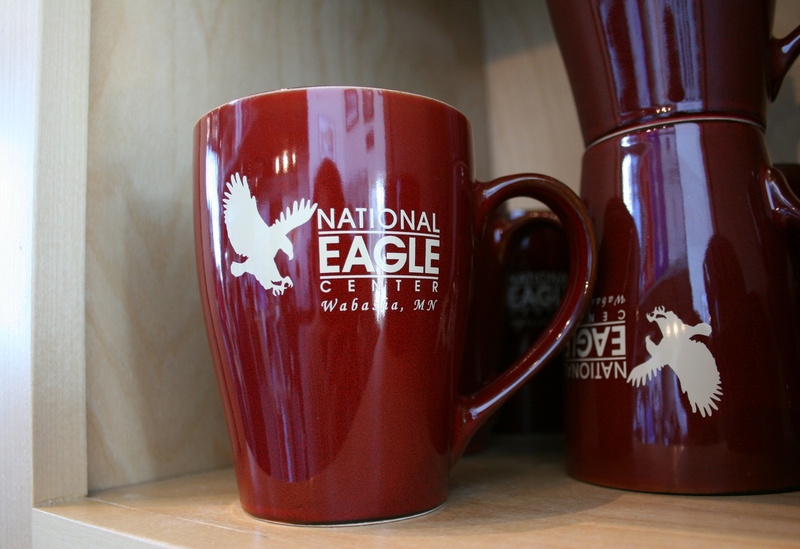 CLICK HERE TO READ my previous post about art inside the National Eagle Center. 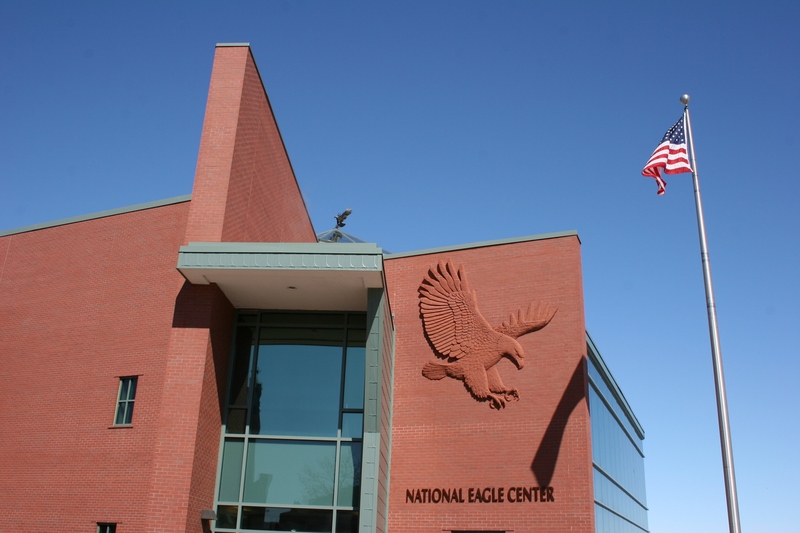 Two eagle sculptures (one atop the dome) define the exterior of the National Eagle Center in Wabasha, Minnesota. 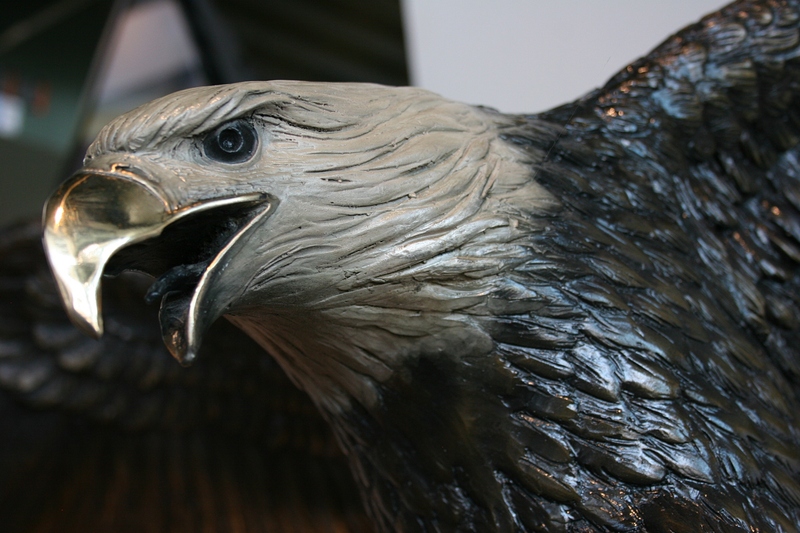 WITH ALL THAT THE NATIONAL Eagle Center in Wabasha offers, it is perhaps easy to overlook the art. But the eagle sculptures and other artwork showcased in this Mississippi River side building deserve study and appreciation. 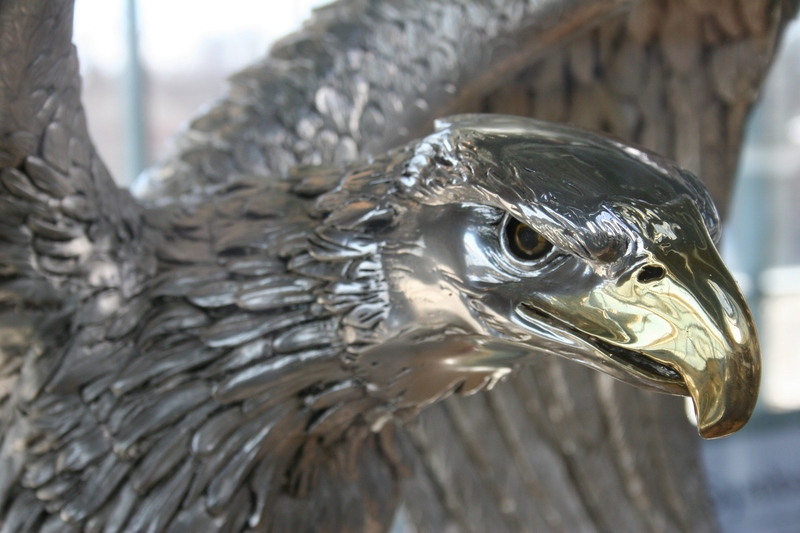 The eagle possesses a certain strength and beauty worthy of symbolizing the United States of America. As such, many artists have recreated this symbol of freedom. The Bicentennial Eagle by A. Giannelli. 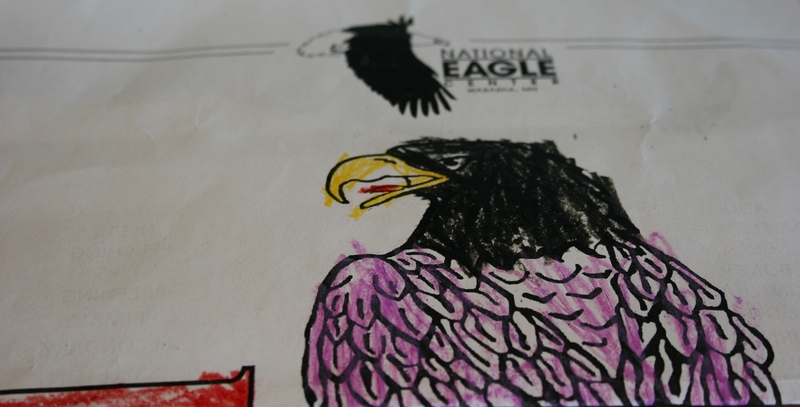 From a sterling silver and 24K gold sculpture by A. Giannelli to a child’s colored drawing of an eagle discovered on a shelf, art abounds in this Minnesota eagle center. Simply look and you will see. 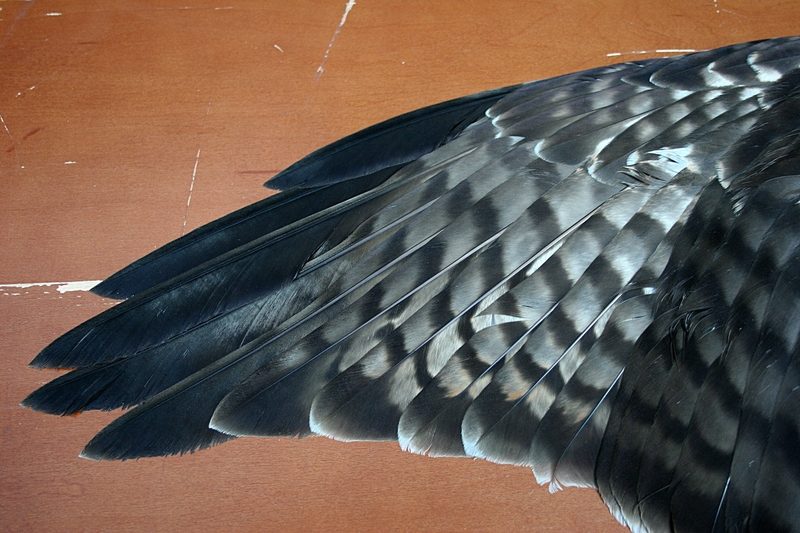 In a wing on display (although not from an eagle). 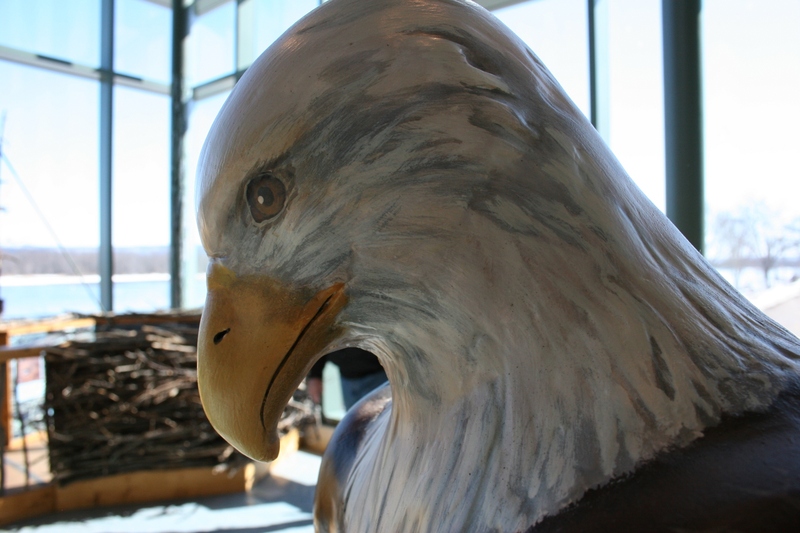 CHECK BACK for a post on more art, this time outside of the National Eagle Center in Wabasha. 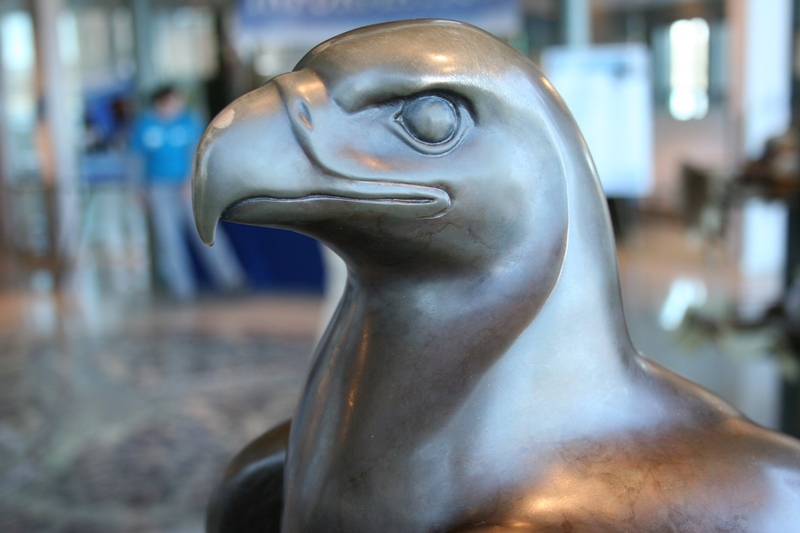 Click here to read my first post on the eagle center.